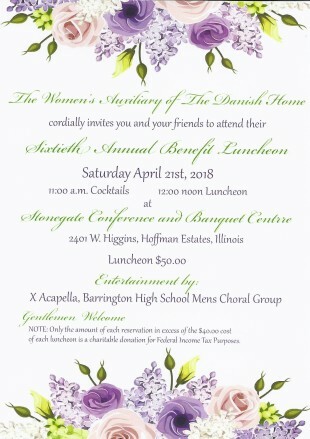 Did you know that you can register online for the Women’s Auxiliary 60th Annual Spring Benefit Luncheon, which is Saturday, April 21, 2018 at the Stonegate Conference and Banquet Centre in Hoffman Estates, IL? 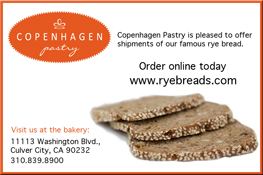 Visit www.danishhomeofchicago.org for details or RSVP to Ticket Chairperson Karen Nylen-Swidergal as soon as possible (latest before April 14) at 847-525-0307. The Women’s Auxiliary Board Members, family and friends donate some beautiful Silent Auction items and creative Gift Baskets every year, everything from a “Year’s Membership to the Morton Arboretum”, “Skaal! Wine & Spirits Basket”, “Denmark Basket” and more. Come join us! Everyone is welcome! For our Danish Home sports fans, Women’s Auxiliary Board Member Carol Vashinko was able to have FOUR Chicago White Sox Tickets with parking donated for the game on Friday, May 4, 2018 (White Sox vs. Minnesota Twins).